I recently bought a Kanstul 3/4 model 80 F tuba (I have a Dillon AGR attached) I have used a PT65 on almost every F Tuba I have played, but I recent have been using a Wessex F1 and it has been working a bit better than the 65. 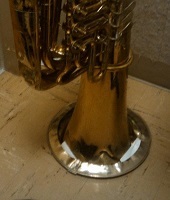 What mouthpieces do you guys use on this horn, or similar small F tubas. Just looking for ideas on what to try, maybe I can narrow it down to a handful of mouthpiece rather than just trying everything. Maybe try the pt64, Too? I keep the model 25 in the car for emergencies. It has played well with at least 3 different F tubas. Maybe look at a Sellmansberger solo with either the 1 or zero backbore? Mirafone TU13 is a nice mouthpiece, small. I had the tiny Meinl Weston 182 for a bit, and a PT20 worked well. I use a Bobo Solo on my 182. Works like a dream. Has a surprisingly good low register. If I am in a larger ensemble with the 182 I sometimes use a Conn Helleberg for a slightly thicker sound. More than half the time I end up back on the Bobo though. I use a Giddings Churada on my 182, it works really well. I do realize mentioning the 182 was apples to oranges, but it helped in getting more "bass" in the timbre, which is commonly sought in smaller horns. I recently switched to all Wedge mouthpieces and I have a copy of the Floyd Cooley Helleberg. 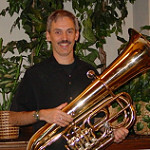 It works great and I am sure it is relatively smaller than a lot of tuba mouthpieces. You may consider the Cooley helleberg or similar.